. يقدم Premier Hotel & Apartments خدمات لا غبار عليها وكل أشكال اللياقة وحسن الضيافة اللازمة لإسعاد ضيوفه. يمكن الاستمتاع بمجموعة من الخدمات على أعلى المستويات في الفندق كمثل تسجيل وصول/خروج سريع, تخزين الأمتعة, واي فاي في المناطق العامة, صف السيارات, خدمة الغرف. بالإضافة لهذا,تتضمن كل غرف الضيوف مجموعة واسعة من وسائل الراحة . بعض الغرف توفر حتى تلفزيون بشاشة مسطحة, اتصال لاسلكي بالإنترنت, اتصال لاسلكي بشبكة الإنترنت (مجاني), غرف لغير المدخنين, مكيف هواء لإرضاء أكثر الضيوف تطلباً. يقدم الفندق خدمات رائعة كمثل مركز للياقة البدنية لمساعدتك على الاسترخاء بعد نهار طويل من النشاط والتجوال في المدينة. إن Premier Hotel & Apartments هو خيار ذكي بالنسبة للمسافرين إلى كانبرا، بما يوفره من إقامة هادئة ومرحة. تبدأ ساعات مكتب الاستقبال من 7 صباحًا إلى 11 مساءً. لتسجيل الوصول بعد هذا الوقت، يُرجى الاتصال بالفندق لإجراء الترتيبات. I've stayed here before and it is still comfortable and clean. The restaurant used to have good food at reasonable prices. Not any more - a new smaller and cheaper menu but sadly the quality of food has taken a nosedive, so look elsewhere for somewhere to eat. Cannot fault it. Stayed two nights with a friend. It was clean, quiet and very comfortable. Bed was great. We arrived late and the main entrance to the lobby was locked with no staff on duty inside. There was a notice pasted on the main entrance that directed us to dial number ‘9’ using the ‘late check in phone’ installed in next to once of the entrances to contact the staff for late checkin. We did exactly what was written on that notice and was told in phone that this number was not exist. So we gave up and had to look for another hotel to live at midnight. Handy to Westfield and easy access to the rest of Belconnen. My room was quiet and I liked the voucher offset in lieu of room cleaning. Most of all I liked that it was a non-smoking hotel and that you were prepared to enforce it. 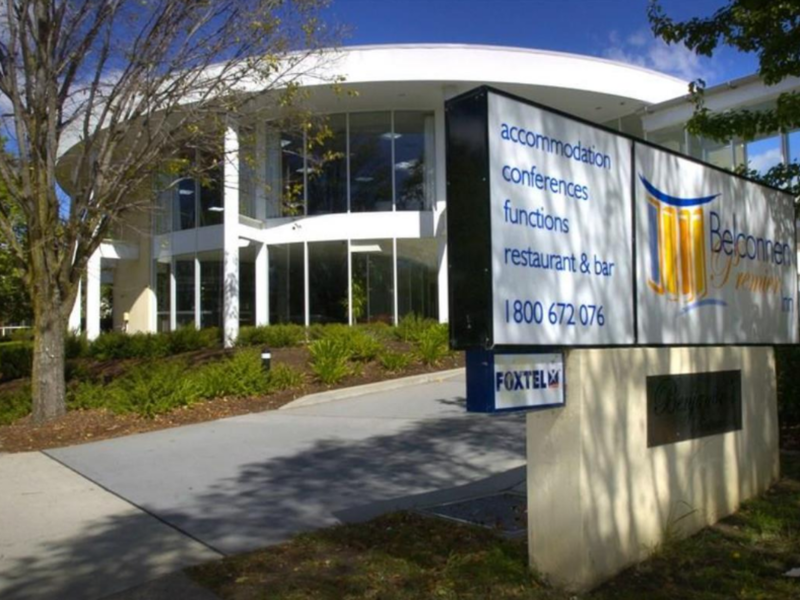 I hope to be in Canberra again and if I require a hotel, I will certainly see if the Premier Hotel is available. Good location if you have a car. Nice large room and the bathroom was very big. Bathroom air-conditioning kept the annoying sound, but fortunately it ended when turned off the lights. The breakfast was quite adequate. The coffee was excellent. You can choose a different blend of coffees to prepared with Nespresso machine. The problem is that usually people do not know how to use a Nespresso machine and mess its setups. If ever I go to Canberra again I can absolutely stay in this hotel again but in the same room which was right end of the glass corridor. Corridor door is noisy. especially at night when people are moving. The restraunt area was very nice. The staff were friendly and helpful. 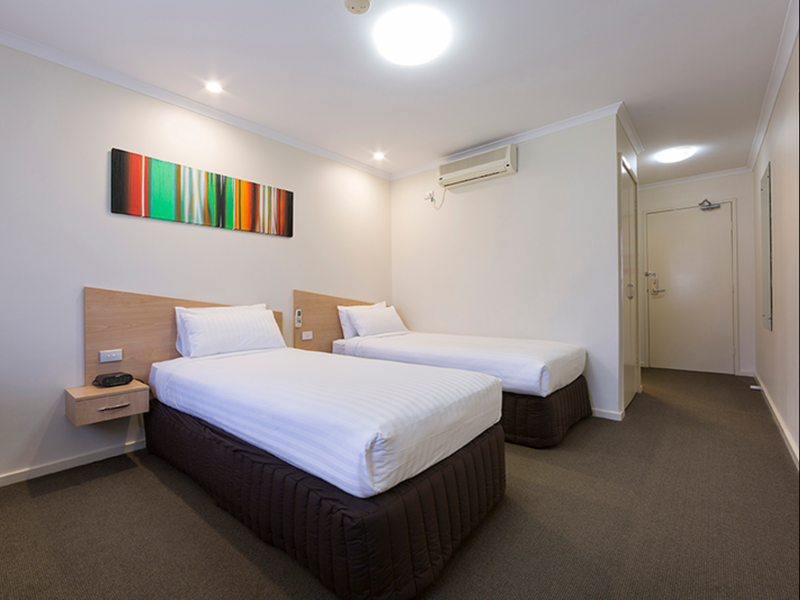 The rooms are spacious and the location of the hotel was premium. My stay was very very comforting. Unfortunately things didn't go right in Canberra for me, but it was reassuring to know I had a very nice room, with a spacious bed, large bathroom, two televisions, a nice living area, and very nice construction of the hotel with its seperate wings parting from (but still connected to) the main restraunt and reception building. The car park was emmauclate and I regret not bringing a car. Privacy was no issue and I had the freedom to do as I wished with regards to when I could leave the room, and the hotel in general. The only things I could complain about would be a lack of pool, a lack of more stories on the hotel (perhaps including a pool in one of the wings and putting rooms above it) and the cleanliness of the outside of the building itself. It needs maintaining more frequently. Regardless, I had a great time, if I return to Canberra, I will defenantly give the Premier some consideration. Thank you for having me. The bedrooms were very clean as well as the bathrooms. Staffs were very efficient and nice. It was very close to westfield and next to the market even though we didn't get chance to the market but it's very convenient located. Great for family stay and browse around the place. 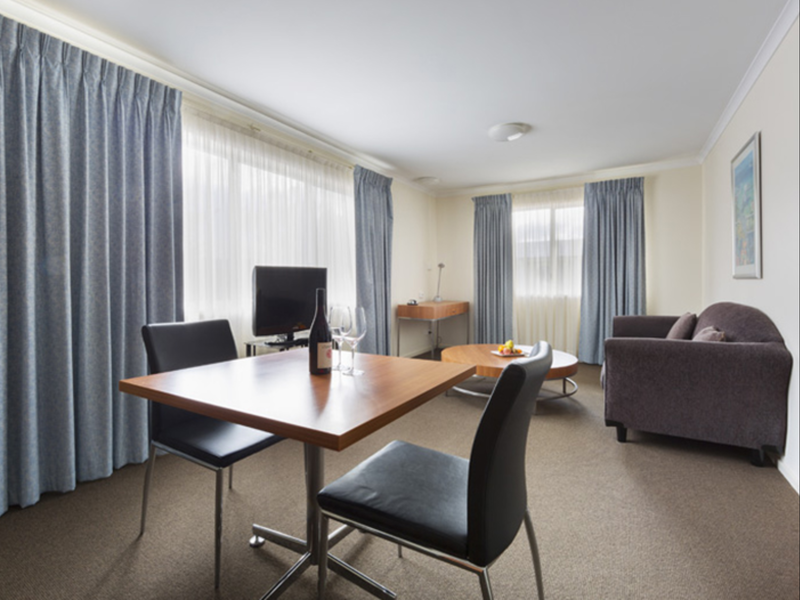 The stay was comfortable, very affordable, included breakfast a real bonus, and location made easy travel by car to all the tourist spots: Botanic Gardens, Floriade; Parliament House, National Gallery, War Museum, Arboretum and Black Tower. And alternative dining was down the road, on the lake - as was shopping, if you needed it. 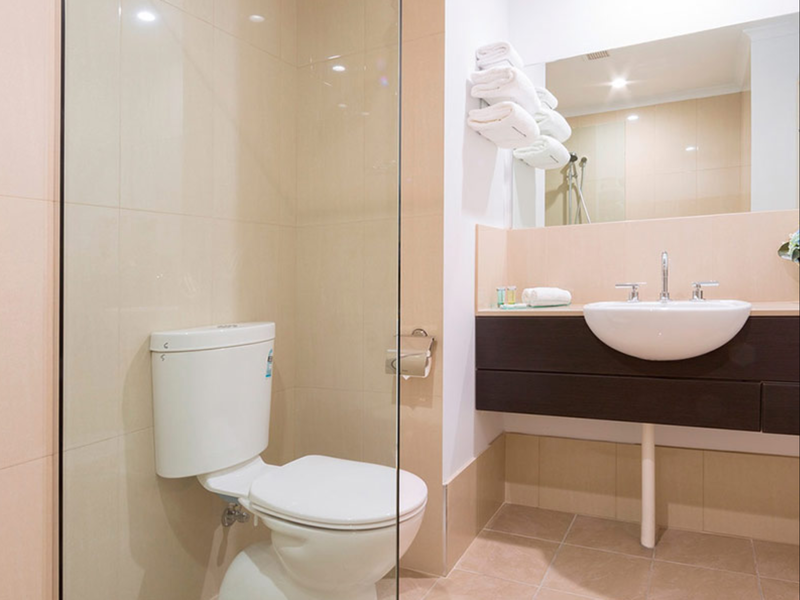 Noisy plumbing saw us up early in the morning - request an upstairs room if this is likely to be a problem for you. Next door to Belconnen Markets and a short drive to the city. Staff was professional and polite. 3 blocks from Westfield, 1 block from fresh food market. Room was nice, wifi good. 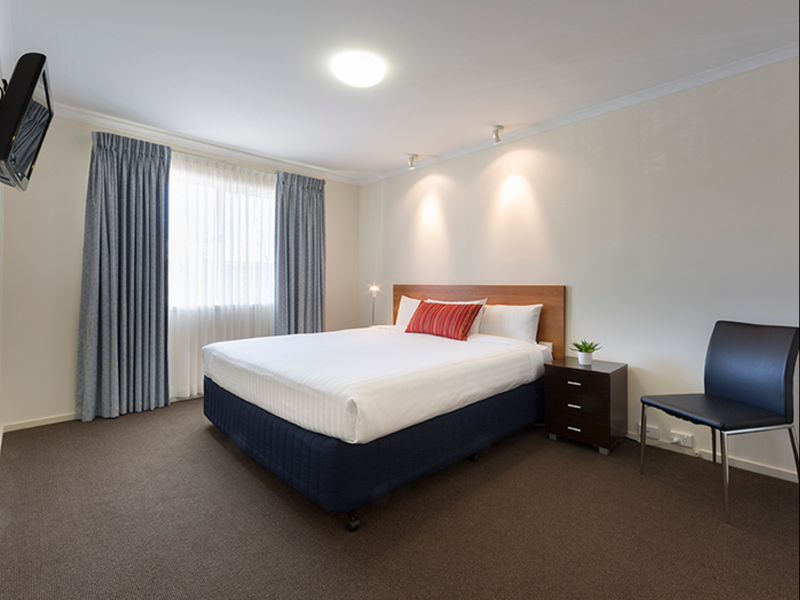 Extremely clean Hotel and rooms. Well located to nearby shopping mall and foodies market place. Parking area is enormous. Only complaint-breakfast charges expensive if you only want light breakfast. The staff is very friendly and eager to help. The breakfast is really fresh. Nothing wrong with the room, housekeeping and reception. The lady staff that worked at the restaurant obviously don’t want to be there. Ordered take away as we had to rush out in the morning. She was too busy drinking her own coffee and gave us not what we wanted. Came back an hour later and explained that she gave us not what we requested and her reply was “So what do do you want?” and gave me a stare. RUDE! If you are on a budget this place is good value for money. But the plumbing and fridge is quite noisy so if you are a light sleeper make sure you bring ear plugs. It's also a little tired with wrinkled carpet in a room. The good news is that the staff are really helpful, it's well located and it's comparatively cheap. stay was alright, staff unsure on most things, also tried to charge me $50 extra for an additional bed which was already arranged and paid for through agoda. spent 10 mins arguing with staff before they realized their mistake.